(E! Online)Did Comedy Central grant the Catholic League its Christmas wish? It appears the group may have met with success. A repeat of the finale was scheduled to air Wednesday night, but was pulled from the Comedy Central lineup without explanation. 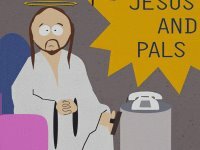 Screencaps of the episode were no longer available on Comedy Central's press site or on comedycentral.com's South Park section. 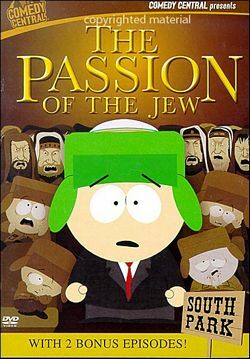 Hey Kevin, isn't South Park a cartoon? Ummmm.....yeah....Kevin, man, I don't think even the Pope got this upset. Mellow out.